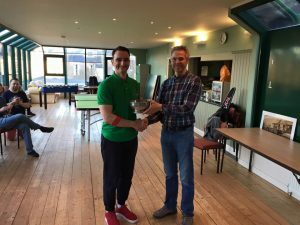 The annual squash club championship will be held on Saturday 12th May 2018 at the club house. Free to members. This will be a graded event. Each player is guaranteed three matches. Friends & family are welcome to spectate & socialise. 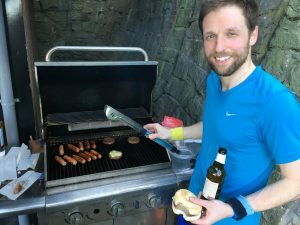 BBQ and drinks available. Contact Michael Clarkson m_d_clarkson@hotmail.com for further details. 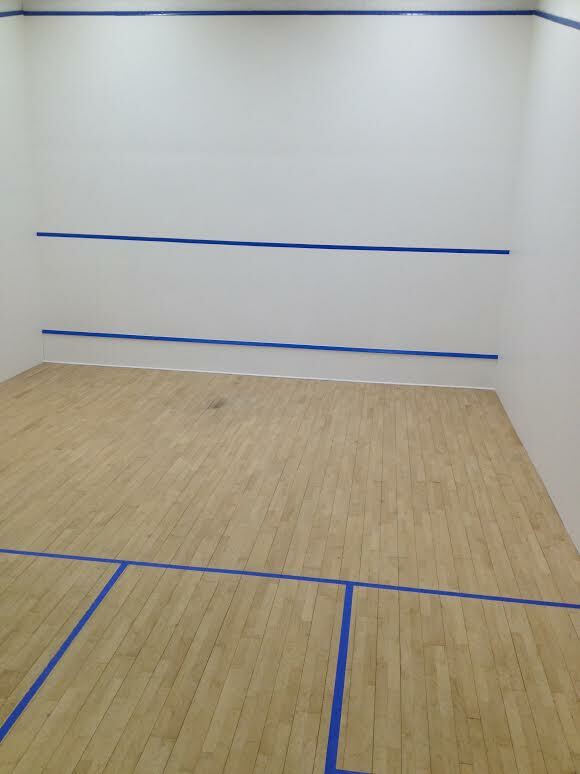 We’re pleased to announce that the maintenance of the squash courts is now finished and they sure look all shiny and new!! 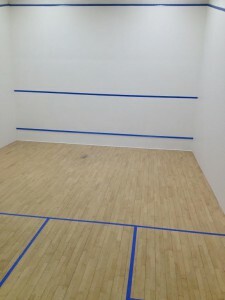 I’m pleased to announce that the squash courts are getting refurbished in the new year. Appreciate your cooperation and hope you are looking forward to playing on the shiny new courts once they are done! 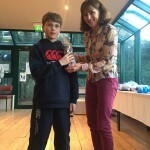 The Junior Squash Club is formed from the junior membership of the Club. 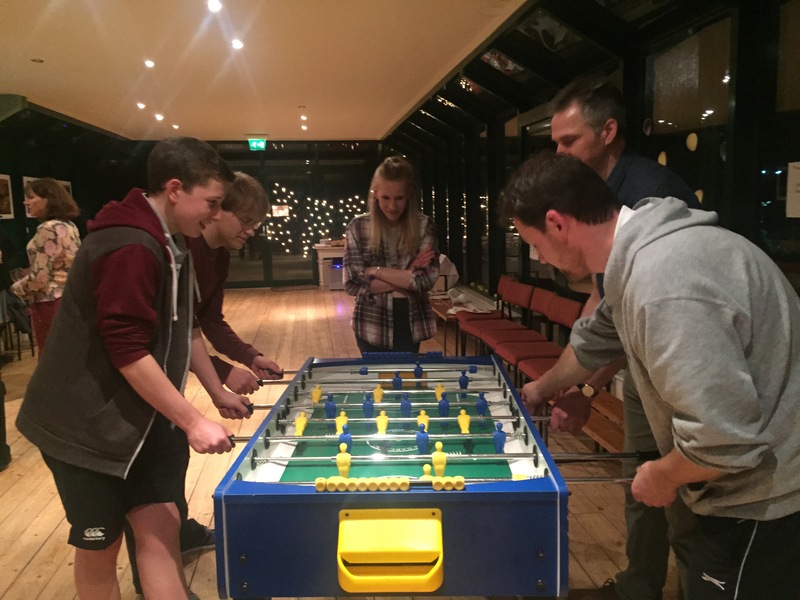 It meets on Saturdays and provides coaching and supervised play. 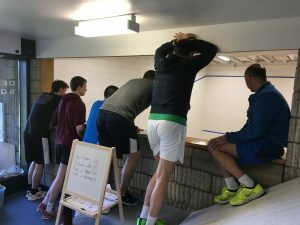 Its aims are to introduce children to the sport, to help them develop their skills, and to provide them with an opportunity for supervised play. Information on the dates, prices and details can be found on the Application Form. These are held on Saturday afternoons starting October 31st. There will be 14 coached sessions on Saturdays (6 before Christmas and 8 after). 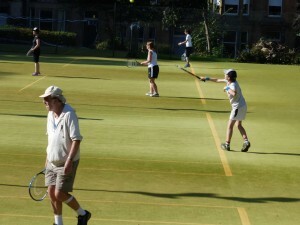 The Juniors are divided into groups on the basis of age and playing ability. The youngest players start at 4 pm. 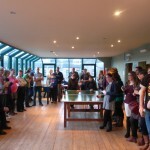 The exact arrangements will be decided once we know the total numbers. We will hold a Junior Club night if there is enough interest and willingness to participate by children and their parents. Supervision is required by volunteer parents. It is open to all junior members giving them an opportunity for further games. The coaching sessions are organised and coached by Amanda Jones and professional coach Don Wilkie. 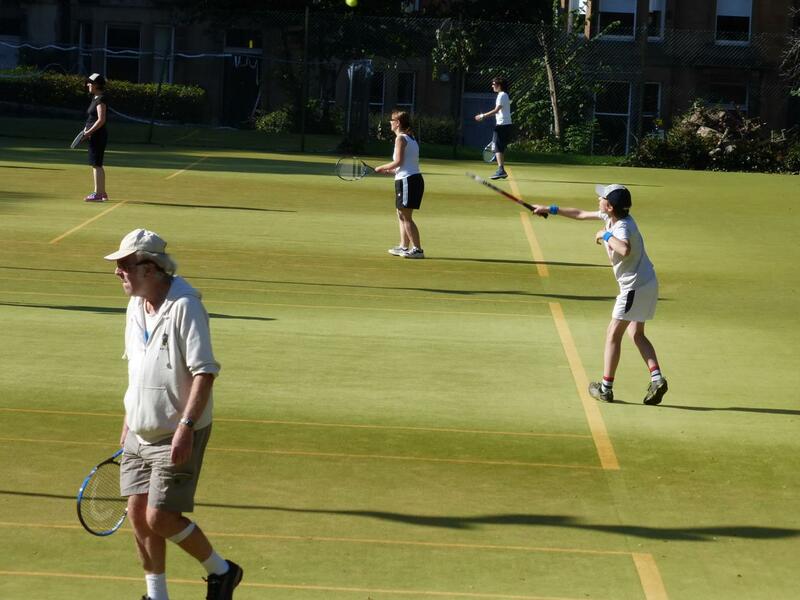 We rely on parents who can give some of their time to help both for the coaching sessions and any Junior Club night. 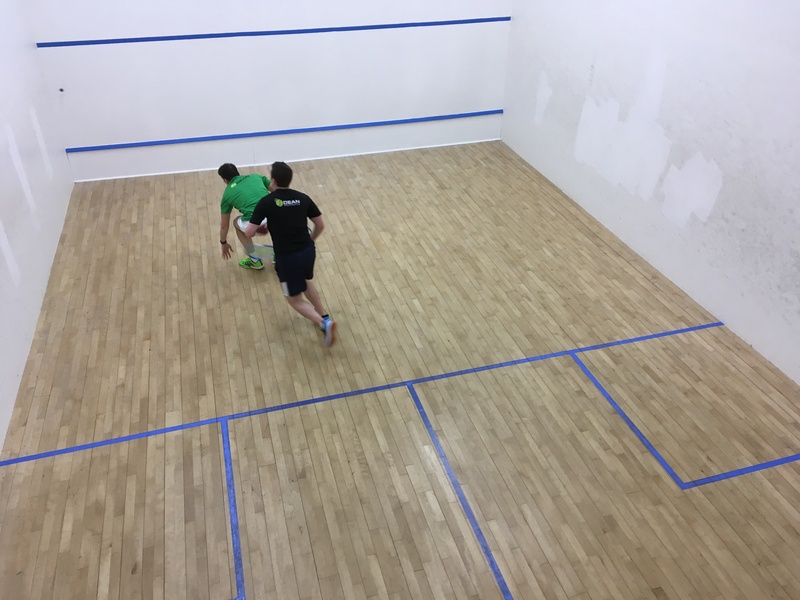 It is not necessary for you to be able to play squash but we would particularly encourage squash playing parents to volunteer their services. Please contact Amanda if you can help in any way, even for a few sessions. 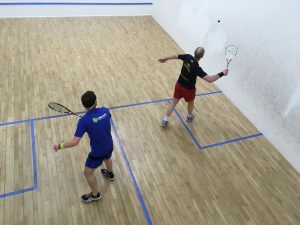 It is the policy of Scottish Squash that children participating in any squash tournament wear eye protection. Although eye injuries are very rare, we have to recognise that the risk is greater with younger and less experienced players. We cannot ignore the advice of Scottish Squash and children must use eye protection whilst playing at the Club. Protective goggles cost between about £15 and £25. 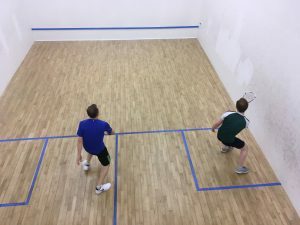 We provide goggles for the Junior Squash sessions but we need to make a charge of £5 to be added to the Junior Squash Club fee. 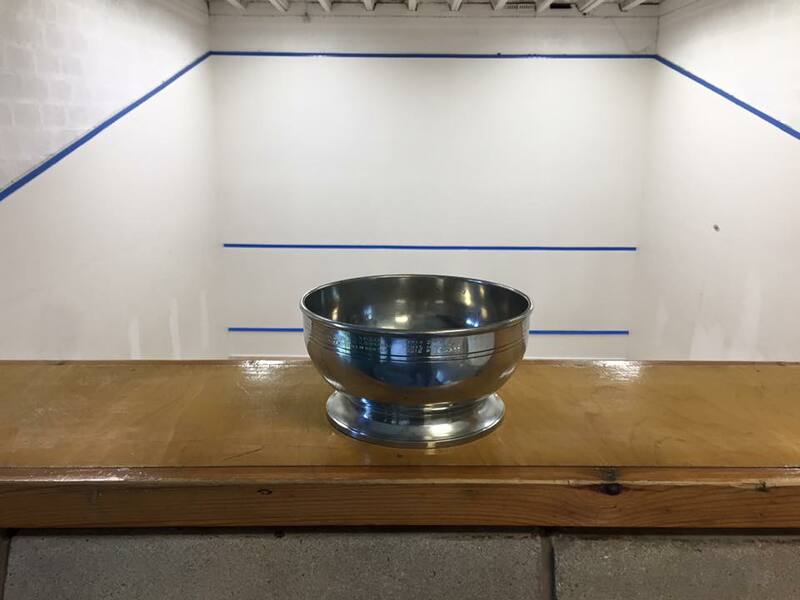 If your son or daughter is interested in team squash, we recommend that they buy their own equipment. 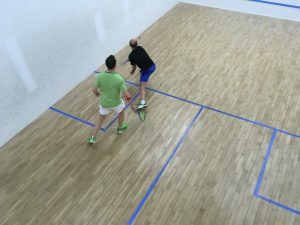 Shoes worn on the squash courts should be of the non-marking variety (in general black soled shoes should not be worn). They should be free of dirt and grit and should not be worn outdoors. 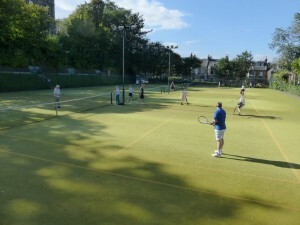 In particular we discourage the use of shoes which have been worn on the tennis courts due to the sand that they carry onto the courts making them slippery and dangerous. We ask parents to ensure that children have appropriate footwear. The Club welcomes junior members. We want to provide them with an opportunity to develop their interest in the game and to develop their skills. 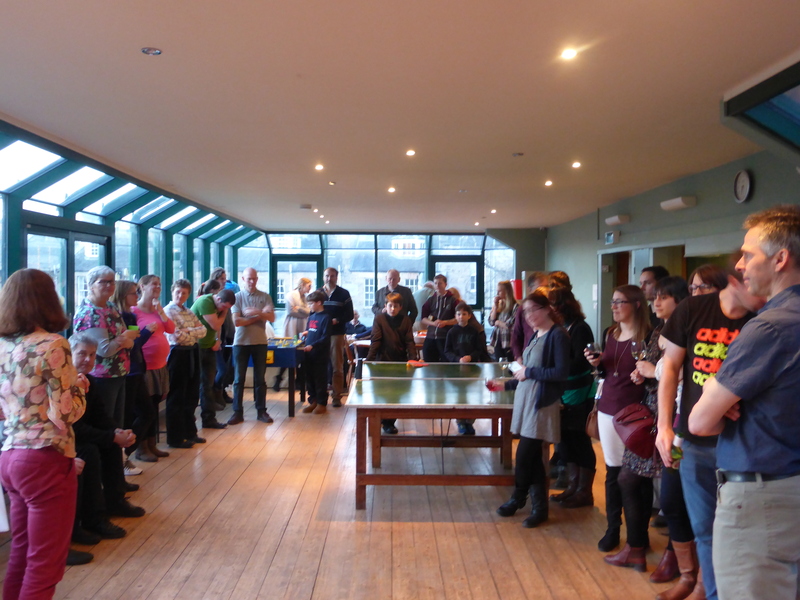 However, we have to be concerned about their safety whilst playing and with the security and care of our premises. We want to remind parents that there is nobody employed to monitor the activities in the Club. It is quite normal for the Club to be empty, particularly on Friday or weekend evenings and during the daytime on weekdays. 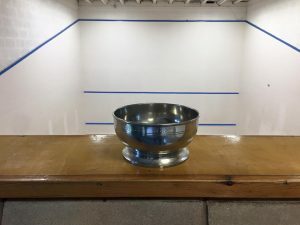 We would not be taking proper responsibility either for the safety of our members or the security of the clubhouse if we permitted young children to use the facilities without any adult presence. 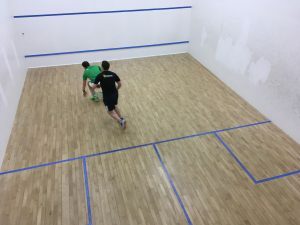 Junior members under the age of 14 may only use the squash courts when they are with a responsible adult. We regret that this decision may restrict the opportunity for Junior play. However, we believe that this is an inevitable consequence for a Club which employs minimal staff and which relies on the volunteers for its management. 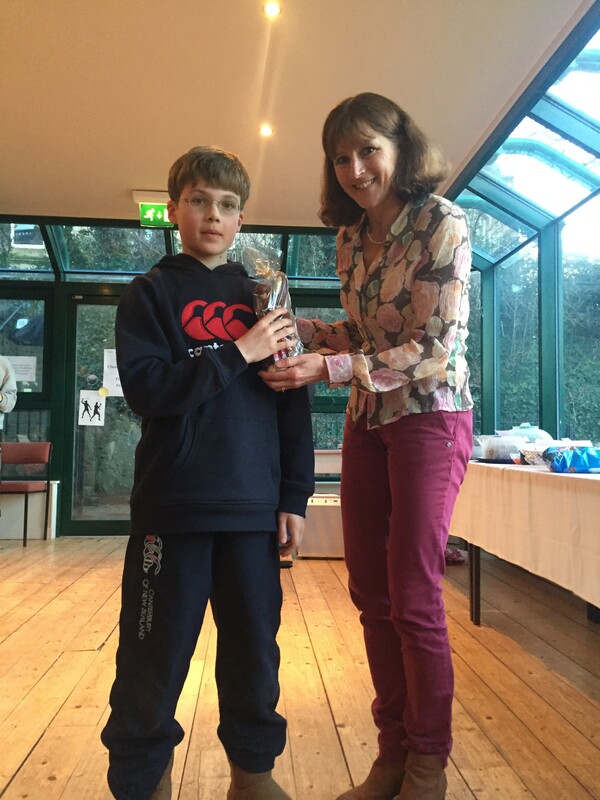 One of the reasons for forming the Junior Squash Club is to provide an opportunity for younger children to play whilst being supervised. We would like to encourage parents to extend the playing opportunities for juniors by bringing their children to the Club at other times. We hope that you understand the reasons for these cautions which are designed both to protect your child and to protect the interests of the Club. We do hope that your children will take this opportunity to be involved in the sport and enjoy the game. If you need any further information, please contact Amanda Jones. 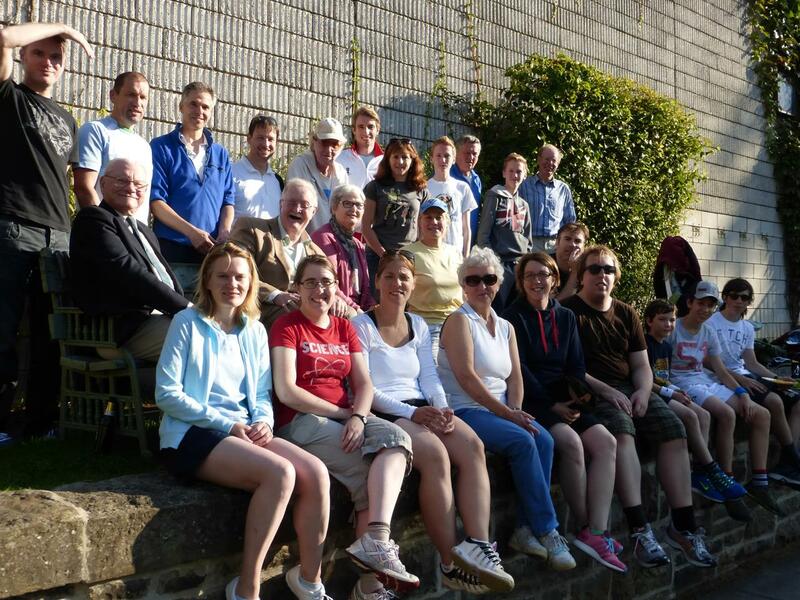 The Squash club night is restarting on Monday 28th September, 7:40pm – 9pm. 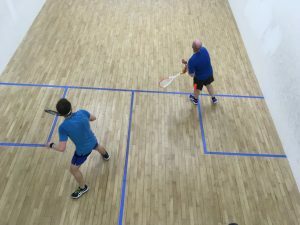 Whatever your ability, come along to play some social squash! 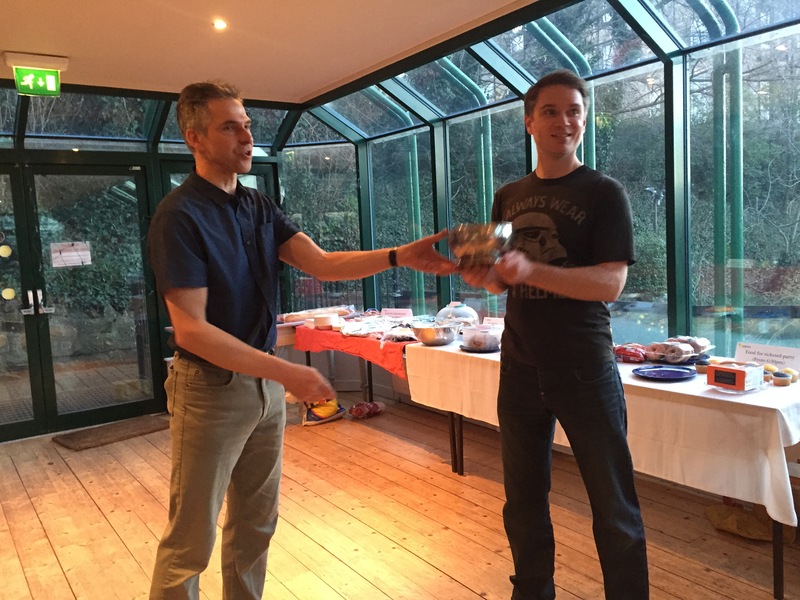 At the end of March Dean held a party following on from the squash championship finals to celebrate the winners and round off the squash season; and to welcome in the tennis season! 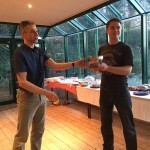 Below is a selection of photos from the prize giving and following party. 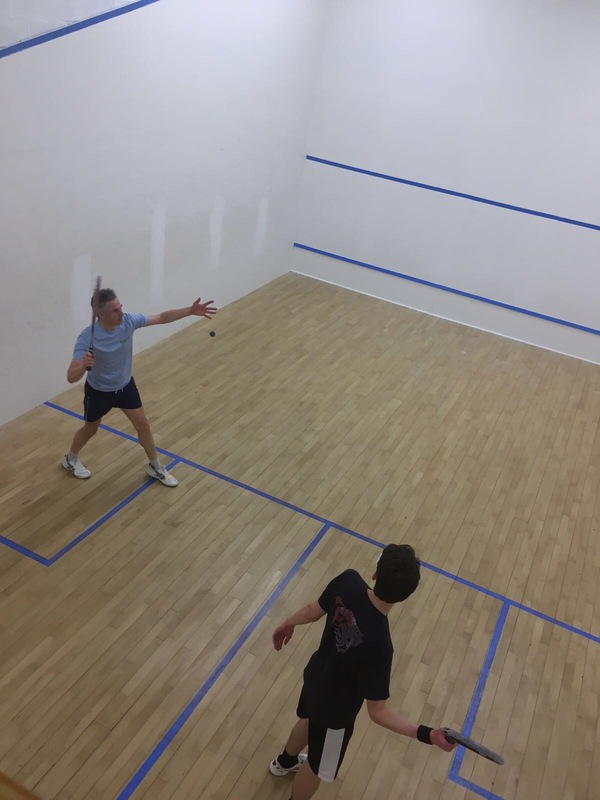 We are looking for new players to join Dean’s racketball team that play in the friendly summer league against various clubs in and around Edinburgh. 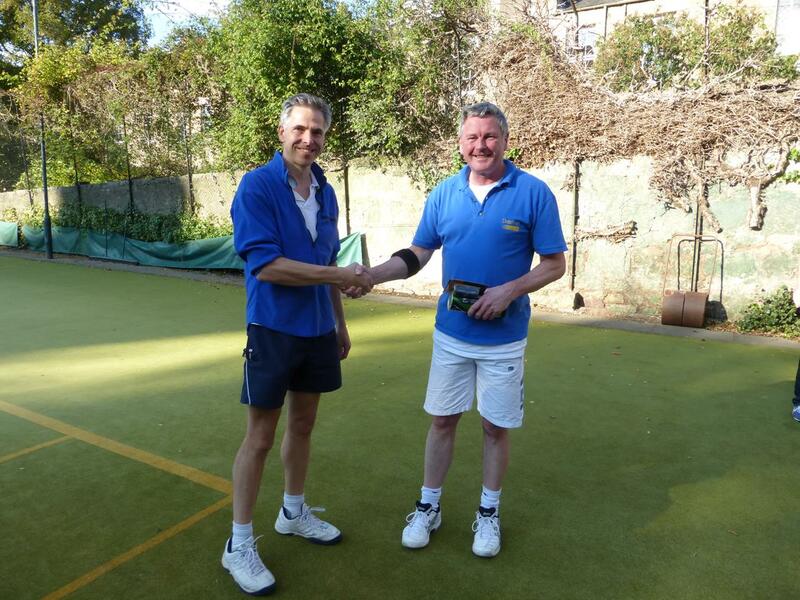 The league runs between April and August with matches roughly every fortnight! Racketball is very similar to squash and just as fun! No experience is necessary and all abilities catered for! We also have spare rackets you can use. 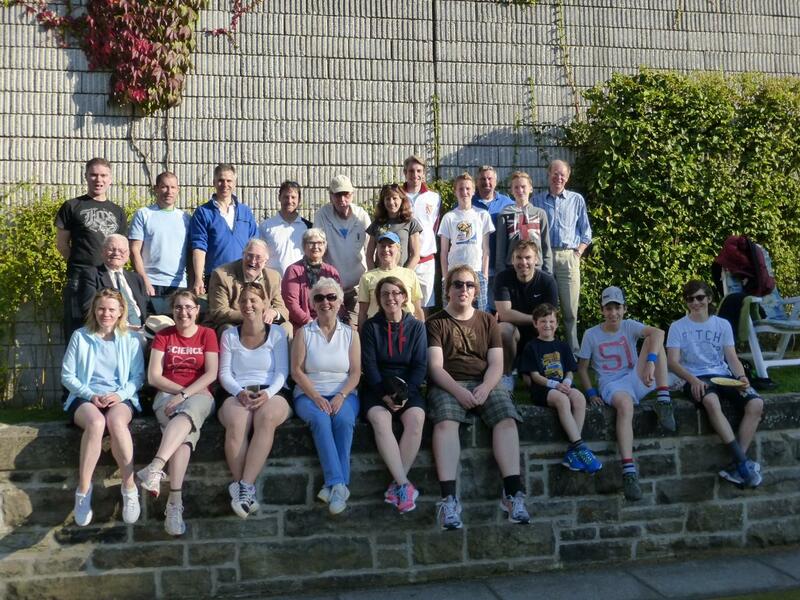 Thanks all who took part in the Funday Sunday tennis tournament, squash friendlies and racquetball (more to follow about that in a separate post)! 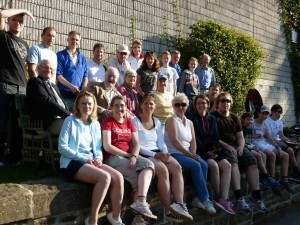 We had great weather and a wonderful BBQ; many thanks to Carl, Amanda, Bram, Nynke and others for supplying food and BBQ! 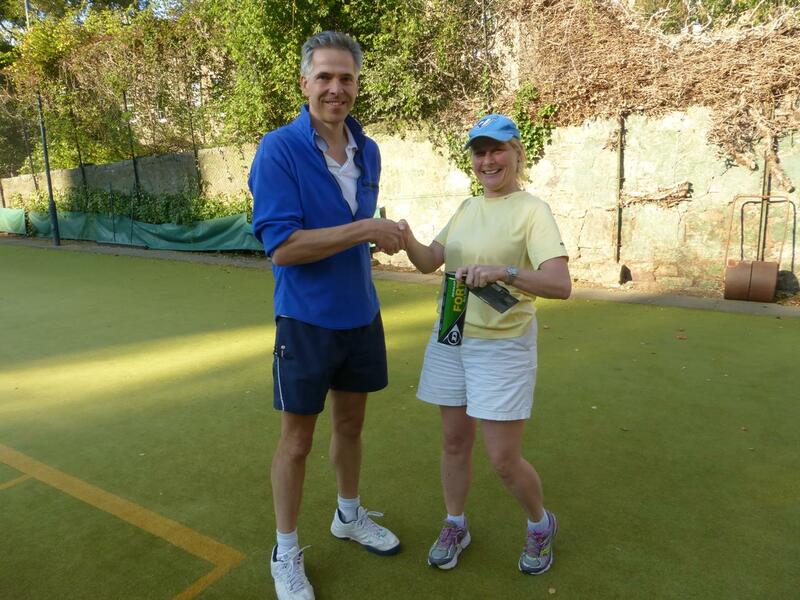 The winners of the tennis tournament were: Philippa McPherson & Carl Tweedie! To celebrate the start of the squash season and the completion of the tennis season, we are having a squash & tennis Fun Day at the Dean Club. Join the club for an afternoon of squash, tennis and BBQ from 2pm! 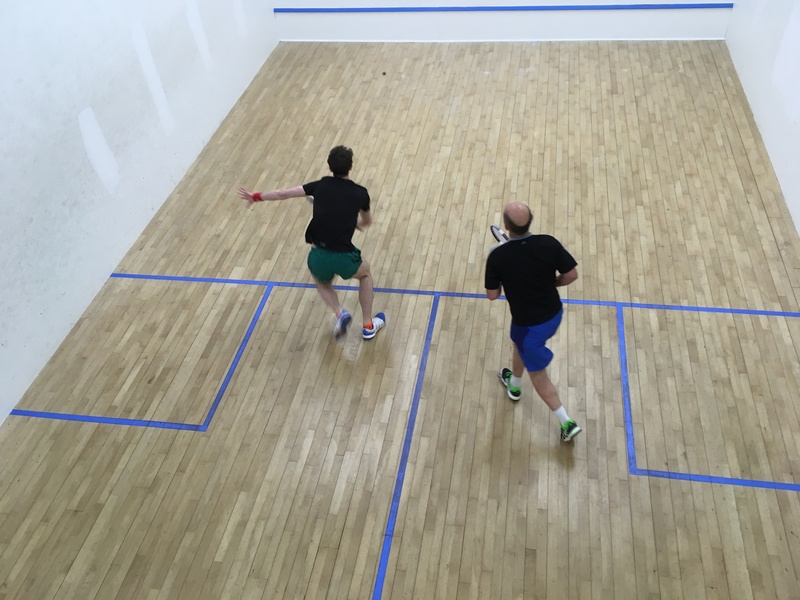 Squash: We will be running a handicap squash tournament and racquetball taster sessions. Tennis: We will be running a tennis tournament where you play with different partners every 15 minutes to try and win the most number of games: we will have prizes! This tournament is fun for all levels of tennis, and because you keep swapping partners you will play a wide range of people and abilities. 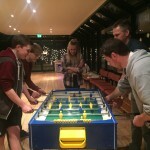 So whether you are a complete beginner or play regularly, come play the mini tournament! We would be grateful if you could sign up to the event so we know roughly how much BBQ food to provide, and how many will take part in the day’s events! Please send any questions to Sarah at sarah@lowmanio.co.uk.